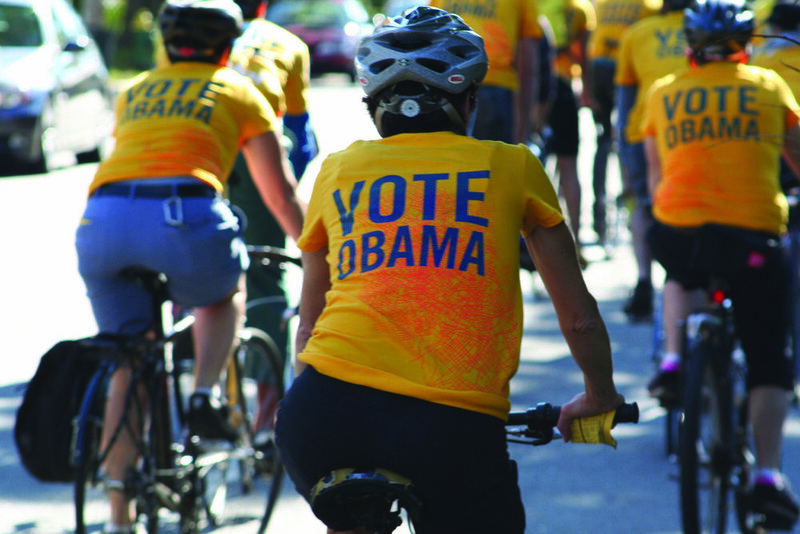 On October 12 2008, fifty cyclists participated in a bike ride for Barack Obama. 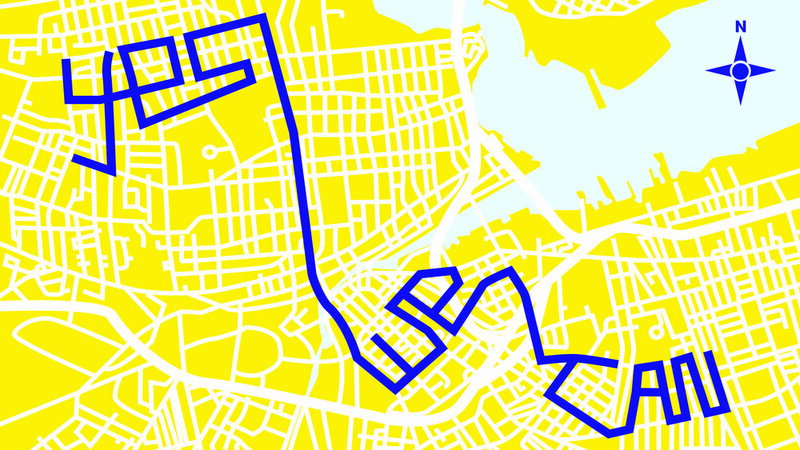 We planned a route for a community bike ride in Providence, RI to encourage voter participation by "writing/riding" hopeful messages across the city. By traveling a route designed to spell out our message, participants engaged in a new form of collaborative communication. 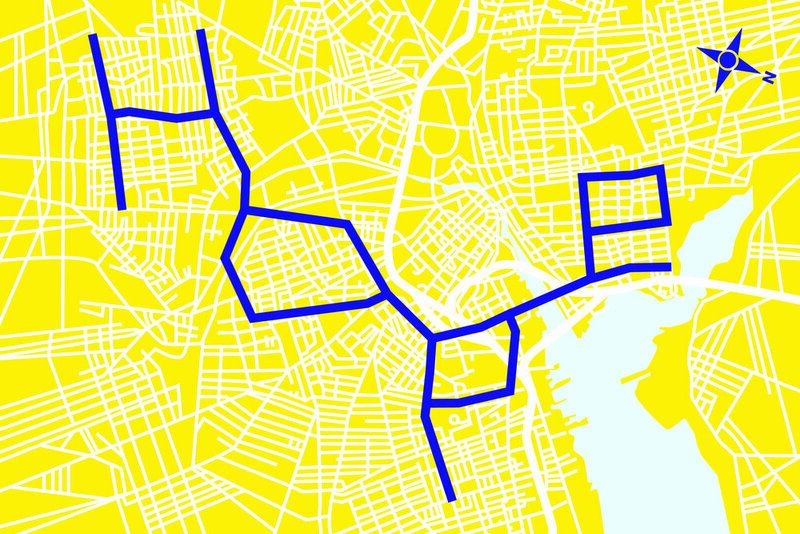 The ride went through the East Side, Downtown and the South Side, uniting three distinct neighborhoods. The mayor, David Cicilline, happened to be riding by and decided to ride with us. In the Southside, onlookers hollered in support from their porches. Several cyclists that were out riding recreationally that day decided to change their route and join us.